In our latest guest article, South Africa-based writer, cosplayer, and Tomb Raider fan Noelle A (aka Pfangirl) shares her thoughts on Dan Abnett and Nik Vincent’s recent novel, Lara Croft and the Blade of Gwynnever. Please note that the following review may contain some very minor spoilers. Lara Croft and the Blade of Gwynnever is the second Tomb Raider novel from the husband-wife writing team of Dan Abnett and Nik Vincent. 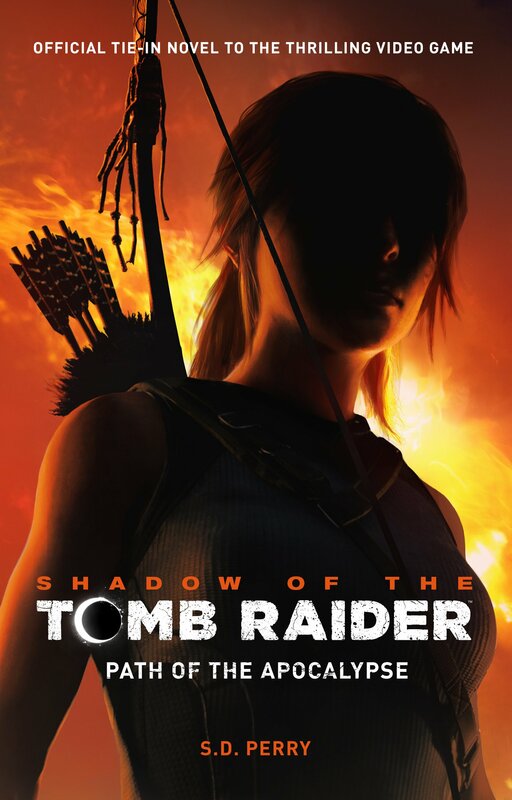 This follows 2014’s Tomb Raider: The Ten Thousand Immortals. Admittedly I wasn’t a fan of that follow-up to the 2013 reboot game, but some good dialogue and a genuinely gripping subterranean chase meant Ten Thousand Train Rides (as some fans redubbed it) wasn’t a complete, um, train wreck. When it was announced that Abnett and Vincent were penning another Tomb Raider story, but this time set in the throwback-style Lara Croft universe, that sounded like a better fit for the writers. They were freed from the reboot’s rigid continuity and “realism.” Instead, they could pen an escapist adventure centred on the cool, confident, quip-spewing iteration of Lara Croft who famously “only plays for sport.” Abnett and Vincent totally deserved the benefit of the doubt. 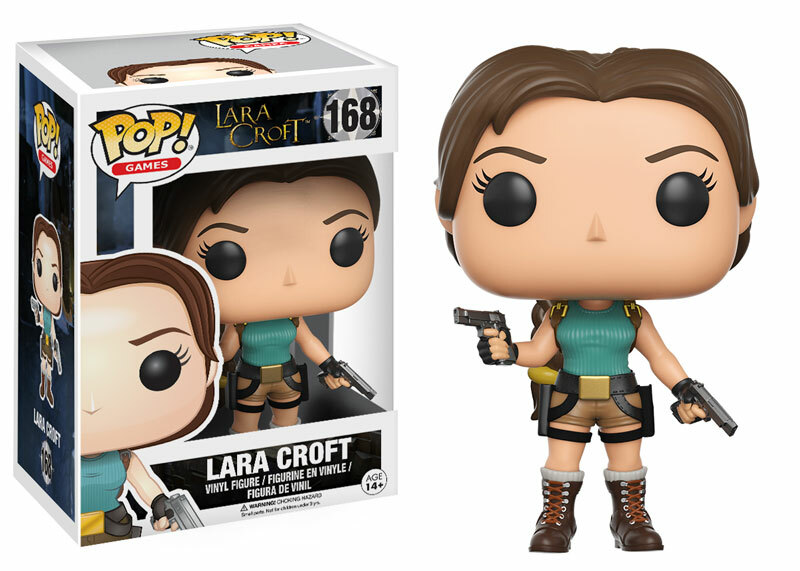 Lara Croft and the Blade of Gwynnever finally released in September 2016 after being delayed several times. In fact, there’s a “thanks for forbearance” acknowledgement at the start of the book. Regardless, the plot synopsis sounded promising. After a ruthless competitor beats her in a race to recover a priceless antiquity in Sri Lanka, Lara Croft returns home to London. Nursing her bruises, she gets a call from an old friend in desperate need of help and learns that something truly strange has been discovered during an excavation beneath the City of London. Investigating, Lara witnesses something so spectacular it could rewrite the history of the British Isles — and perhaps even the world — but is drawn into a dangerous shadow world of espionage, conspiracy and black market trafficking. There’s too much at stake. 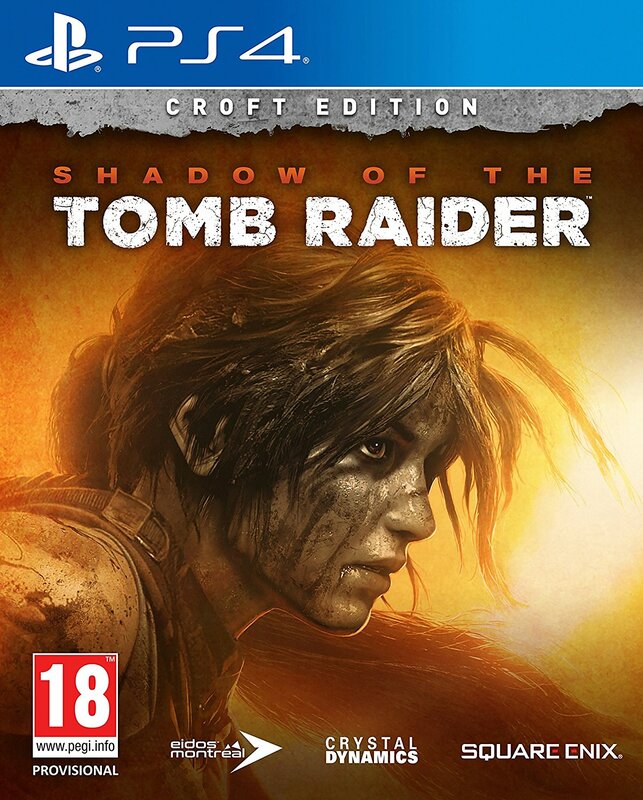 Lara sets off on a globe-trotting mission to recover a precious antiquity that links the modern world to ancient myths and legends, as old foes and new threats gather to stop her finding the truth. What is the true secret of the blade, who can she really trust, and is this the one mission even she can’t survive? Actually, Blade of Gwynnever does start off strong. The Sri Lankan prologue is everything you could want from a Tomb Raider story. There’s treasure, tombs, angry beasties, a desperate battle for survival, and even a treacherous blonde. As an additional annoyance, separating devices go completely unused in Blade of Gwynnever. Jumps in the passage of time, and shifts between character perspectives, all bleed together, hindering comprehension. These complaints aside, the Blade of Gwynnever’s set-up is good enough that I was prepared to overlook the frustrating writing style. The main storyline, too, has a sharp hook. Tomb Raider is largely about puzzle-solving and there is a very enticing mystery to untangle in this novel. Except, the reader is never given that opportunity. The book’s excellent beginning is squandered. The Blade is a supreme MacGuffin. No answers are provided about it. Even worse, Lara never pursues the issue, or does any kind of research to uncover its secrets. The materials are all there for this kind of Truth-finding, History-rewriting tale. But no. In Blade of Gwynnever, Lara gets to make a few snarky comments, sure. Otherwise, she spends a lot of time hacking the Deep Web (what?! ), shooting her dual pistols, and swinging a sword ad nauseam as she and archaeologist friend Carter Bell race from London to Turkey to Egypt and back again due to some tenuous logic. At no point during this process do you gain meaningful access to Lara’s thoughts, even as she faces the impossible. She does not question. She does not struggle with disbelief. She criminally takes things at face value. If she is told something by authority figures, she accepts it (WHAATTT?!). It is such a superficial, ill-informed treatment of the character. As an aside, comic mini-series Lara Croft and the Frozen Omen had the same problem. Lara appeared there as a cool action babe devoid of personality. You have to wonder why multiple writers seem incapable of making Classic-style Lara interesting these days. It’s like they have an action quota to satisfy, and character is sacrificed to meet that requirement. Carter is cardboard again as well, for the record. Blade of Gwynnever starts off feeling like a proper old-school Lara Croft adventure. By the halfway point, though, that sense has evaporated. Readers may not know about the issues that led to the book’s release delay, but you feel a distinct shift in quality while reading. The story starts to meander, before becoming a string of tedious (and very bizarre) copy-pasted fights between mercenaries. Meanwhile, the villainess is wasted, and Lara recedes into the backdrop as just one character in a large, barely sketched cast. In Ten Thousand Immortals, the climax was a running battle between Trinity operatives and a shadowy group of arms dealers. Or something. Nobody cared then. Nobody cares now. Yet that is exactly what the reader receives again courtesy of Abnett and Vincent. Tomb Raider is not about military operations. 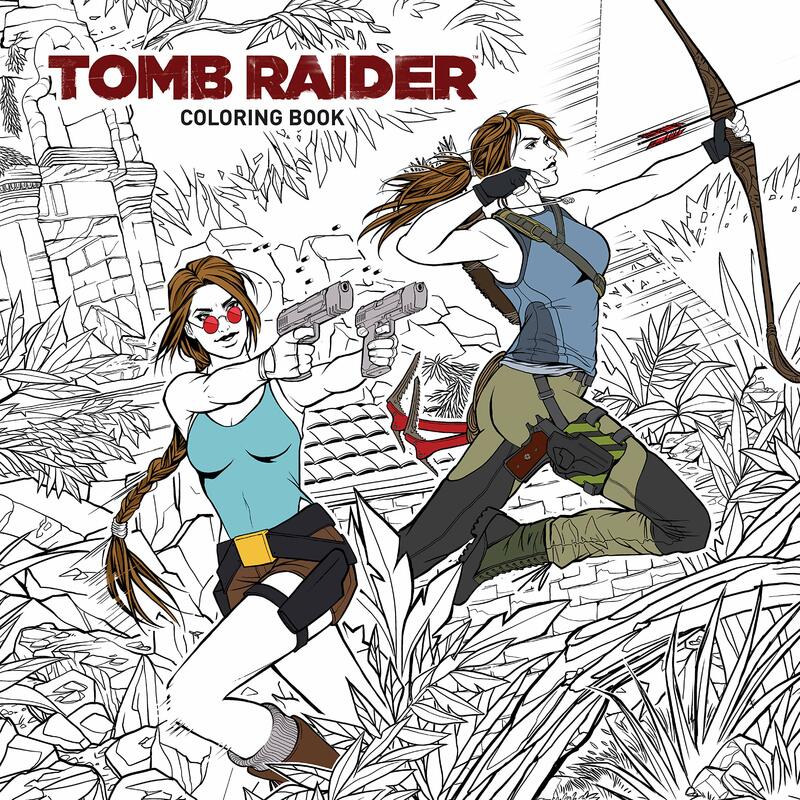 It’s about take-no-nonsense adventurer Lara Croft solving historical mysteries, largely on her own. So it’s easy to feel resentful when page time is stripped from her to accommodate a glimpse into the mind of a nameless Eastern European henchman. Also, I repeatedly found myself wondering who the book is targeted at. For example, Blade of Gwynnever features a rigid commitment to never referencing alcohol. Even at a stolen antiquities auction, only virgin cocktails are available. Later on, though, Lara is beheading animals and gutting people left, right, and centre. If the novel is pitching at a teen level, the content is very inconsistent. The only real plus of the book is the introduction of slimy ex-archaeologist-turned-antiquities-dealer Denny Sampson. Sampson comes across as a tribute to Harrison Ford, with a dash of Nathan Drake thrown in. Personally, I’d be very happy if he returned in future franchise stories because he’s the only character with a very distinct personality, and Lara actually sparks off him. 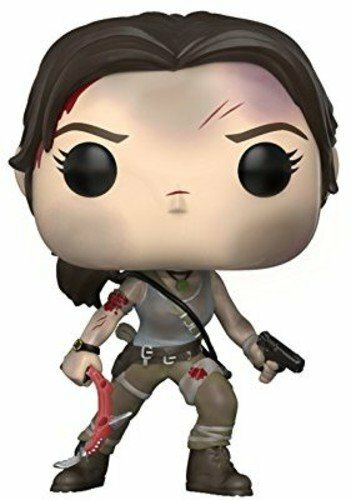 It is bright points like this that make Lara Croft and the Blade of Gwynnever so frustrating because they illuminate the squandered potential. Strong elements do not come together in a satisfying whole, and you end the book feeling simultaneously bored and irritated. This is a massive shame, and I’d go so far as to say it makes Blade of Gwynnever a greater disappointment than Ten Thousand Immortals. A huge thanks to Noelle for sharing her honest review of Blade of Gwynnever with us! You can find Noelle on Twitter under the username @Pfangirl and you can find more of her reviews and articles over on her pop culture blog, Pfangirl Through the Looking Glass. If you’re unconvinced by Noelle’s review or just simply want to judge the book for yourself, you can order your copy over on Amazon or Amazon UK.